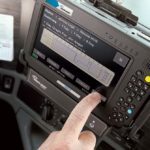 Just like many other ELD providers do these days, Pedigree Technologies is supplying its consumers with stickers indicating their vehicles have an E-Log solution. These stickers usually say “Electronic Logs on Board,” “E-Log In Use” or something like that. As you may already know, commercial motor vehicles are now required to use ELD devices. This includes trucks as well as commercial buses. If you are a commercial driver, you will need to install an FMCSA-compliant ELD solution and have HOS (hours-of-service) records prepared. In other words, you are required to follow HOS regulations imposed by FMCSA ELD rule. There is a wide variety of electronic logging devices to choose from. ELD Chrome by Pedigree Technologies is just one of them. Let’s see what sets it apart from other ELD solutions on the market. 1.1 What is Pedigree ELD? 1.7.1 Anything Else You Need to Know? Pedigree Technologies (formerly AOBRDs) is a company headquartered in Fargo, North Dakota, which specializes in web-based software development. They also collaborate with mobile workers and companies, helping them to diagnose, track, and monitor their assets. Their good understanding of real-world HOS challenges and ELD mandate has helped them create valuable e-log tools. What is important for you to know is that Pedigree Technologies is not a newbie in the industry. That means you can’t go wrong with their services and products. In fact, this award-winning company has been around since 2004, providing web-based software and services that are meant to increase operational efficiency. With nearly 15 years of practice in the ELD business, Pedigree Technologies has been developing some of the most intuitive and compliant solutions on the market. It boasts a rapidly growing client base consisting of small, midsized, and large nationally known consumers. 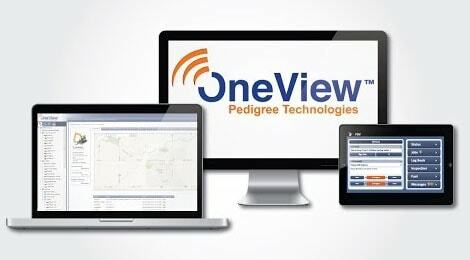 In summary, Pedigree Chrome is an all-in-one ELD device that works in sync with the Pedigree OneView platform. 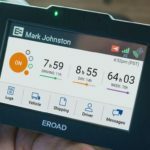 In addition to ELD mandate compliance, this purpose-built intuitive solution offers personal customer service and driver e-log tools. It enables fleet managers to monitor drivers, track their assets, and gain ELD compliance. The Pedigree ELD Chrome is designed as an expandable and scalable device. With the OneView platform, you will be able to stay on top of your business by tracking and monitoring your valuable assets. The aforementioned platform is developed for growth. It offers expandable solutions for Performance (supply/service chain), People (enterprise), and Safety (compliance). With OneView APIs, integrations and expanding are quite easy. Practical and simplified ELD, DVIR, and HOS management save time to office staff. It also improves accuracy and reduces errors at the same time. Being one of the most intuitive E-Log solutions on the market, this logging device is invented for ease of use. It allows for continuous maintenance of paper-based processes. Drivers can manage logs without any hassle. For instance, to change the log entries, you need to tap on your grid or press and hold in order to add a new status. When you want to add a prior status change, the system will automatically fill in the time and location, thus minimizing tiresome data entry. Nevertheless, keep in mind that the app may take some training for you and your teammates to get used to. The system has lots of great capabilities; however, that makes it seem a little complicated at first. People who have just started to use electronic logs will probably find the app intuitive and complex. But they will master it quickly with a little training. Moreover, ELD Chrome offers an interactive training program for drivers. It can be accessed directly from Cab-Mate tablets. When it comes to installation, the device can be installed and connected in 10 minutes only. The in-cab device is easy to install compared to other telematics devices. 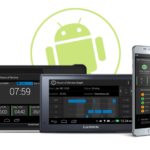 If you're in desperate need of an FMCSA compliant ELD solution that implies practical device options and dependable support, this solution is likely to suit your needs. Built on the OneView platform, Pedigree ELD offers a number of options to meet the needs of just about any fleet. This reliable and compliant ELD solution is aimed at fleet managers and drivers. They will appreciate the superior support and ease of use in particular. OneView platform allows you to easily import log info from other systems that use the standard log files. That comes in handy for those fleets that combine a few different log systems. 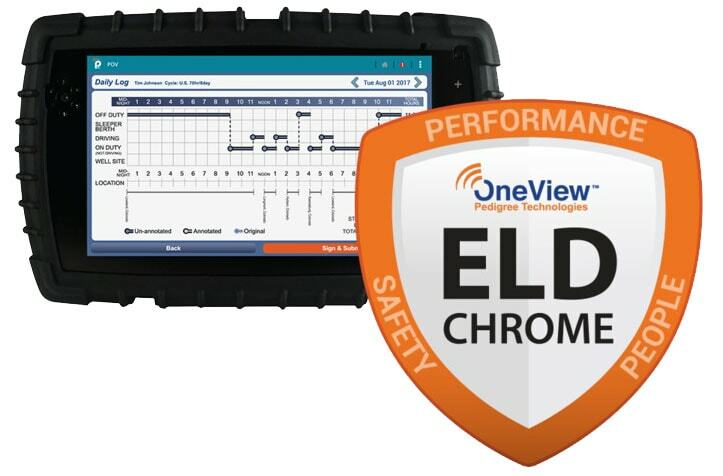 There are a lot of good reasons to go for ELD Chrome and OneView. Let us break it down for you. 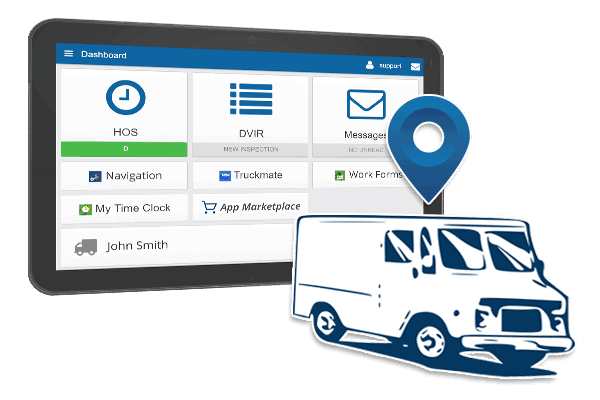 This ELD solution allows users to manage workers as well as equipment and vehicles from anywhere. That way companies can have full control over their operations, manage their entire operation, and make right business decisions. You will also be able to handle IFTA automated reporting in electronic forms, which involves DTCs and DVIR. All data are recorded electronically, so you will not have to mess with paper logs and inspections anymore. This considerably reduces manual paperwork. One of the main benefits of this solution is that it can be expanded beyond ELD. So, aside from compliance, you get access to extra OneView applications. 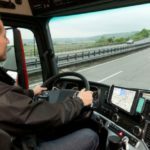 This feature opens the door to a wide spectrum of additional applications, such as equipment, maintenance and fleet management, as well as dispatching, navigation, and electronic work orders. All of this is achievable on one platform. ELD Chrome records all information electronically so that you can have complete visibility of your critical data in a convenient way. This refers to data such as state mileage, fuel receipts, vehicle inspection reports, and driving hours. It makes a huge difference for fleets. All the information are gathered and displayed by use of ELD Chrome devices and OneView online platform. This means customers can gain complete insight into operations of their fleet — on a single screen and in real time. Another benefit of this device is that it can be moved from cab to cab as needed. Communication is in real time. Working with portable multipurpose devices enables team members to keep communicating more easily and get things done faster. For fleet managers, this means they can know what happens with their assets and workers at any moment. 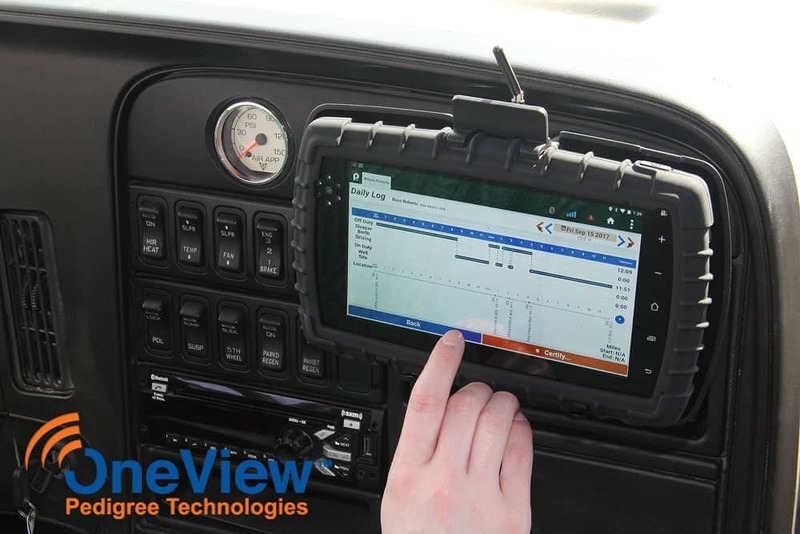 This FMCSA compliant device is intended to reliably meet ELD regulations while offering full operational visibility. There is a large number of options fitting the specific needs of today’s fleets with regard to ELD mandate compliance. The good news is that this solution is fully FMCSA compliant and certified. But it doesn’t just stop at compliance. ELD Chrome is created as an "expandable" option that lets the fleets do much more. Furthermore, this solution is capable of handling the sticky situations induced by the new ELD mandate rules. For example, it lets drivers reclassify driving time as “Yard Move” or “Personal Use” time if needed. It still complies with mandate rules and restrictions though. What's the catch? Once recorded automatically, Driving time can't be changed by any means. This is restricted by the mandate rules. So if someone has accidentally left himself logged in, there's no way to remove or change that accidental recording from the log. Or maybe it's still feasible if you use ELD Chrome. Even though Driving time isn't removed from the log, this smart device allows you to classify the “Driving” time as Yard Move or Personal Use time. Note that the log grid won't be updated. Yet, you will be able to update the HOS clocks. This is a valuable option for carriers and drivers when getting recorded into driver’s log by mistake. Pedigree ELD Chrome is a flexible and full-featured electronic logging device on that comes with clever HOS tools. It is intended to make it easier for commercial vehicles, i.e., carriers and drivers, to record driving hours. It operates with OneView platform that let you expand your options and get the most out of your recordings. While not the cheapest and simplest option available, Pedigree ELD offers some features that can't be found anywhere else. Those who need a bare minimum E-log can surely find the less expensive options on the market. On the other hand, fleets wanting to effectively manage logs and expand their capabilities will find Pedigree ELD Chrome very valuable solution. The full mandate compliance and unique features make it worth the money for anyone looking for options beyond the basic compliance.